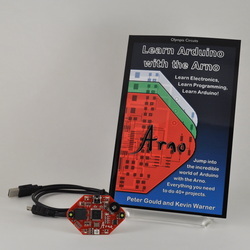 The Arno includes the exciting, new Arno board and the book "Learn Arduino with the Arno". The Arno board incorporates all the components you'd expect to find in a beginning Arduino kit, but they're on the board. No jumper wires or small components to plug in, just get right into programming. 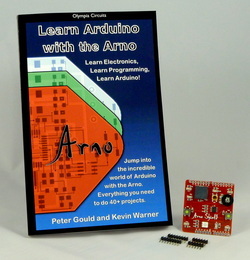 The included book is much more than you'll find with other beginning Arduino kits. It has an intro to electronics, intro to programming and over 40 example programs. Each example program has explanations for the programming and hardware concepts it uses. This is the Arno board without the paper book. Don't worry, we moved all the content to the web and the sketches can be edited and loaded to the board using your browser. The Arno board incorporates all the components you'd expect to find in a beginning Arduino kit, but they're on the board. No jumper wires or small components to plug in, just get right into programming. The online book has an intro to electronics, intro to programming and over 40 example programs. Each example program has explanations for the programming and hardware concepts it uses. 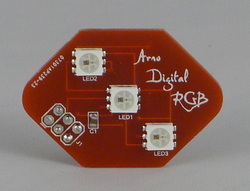 The Arno Digital RGB Add-OnThe Arno Shield incorporates all the components you need to get started in Arduino all mounted on a shield ready to be plugged into your Arduino board. The shield comes with the same comprehensive book that is included with the Arno. Please note that the headers are shipped loose and require soldering to board. 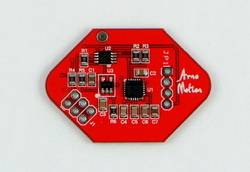 This is an add-on board for an Arno that plugs into the programming header. It also will work as a breakout board with other Arduino boards. It has three WS2812 RGB LEDs that are addressable. These will get you going in the cool world of addressable LEDs. This is an add-on board for an Arno that plugs into the programming header. It also will work as a breakout board with other Arduino boards. It has the highly regarded MPU-6050 accelerometer/gyro set up to connect directly to your 5 volt project. ﻿SODA stands for Simple Open Data Acquisition. 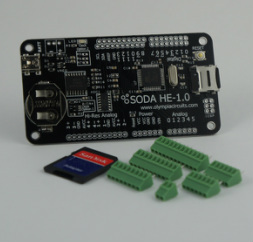 The HE 1.0 board is an Arduino-compatible board that features a unique power circuit that's perfect for projects that need to run months or years without changing batteries. 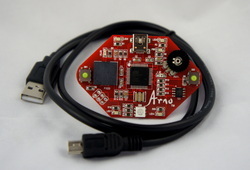 The board features an 18-bit ADC, a high precision real-time clock, and an microSD card slot. Click here to learn more. 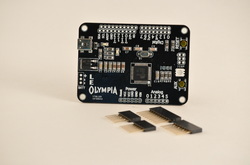 The LeOlympia is an Arduino compatible prototyping board based on the Atmega 32U4 microcontroller. Includes board with headers shipped loose allowing user to customize, as needed.